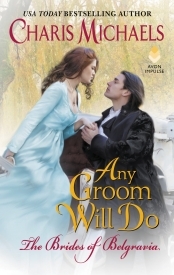 New friends and old favorites make appearances in this spinoff of the Bachelor Lords trilogy. Lady Wilhelmina “Willow” Hunnicut has always dreamed of leaving tranquil Surrey for sights and sounds London. She is a talented designer and has aspirations as grand as London’s finest mansions. But an unmarried heiress dare not relocate to the capital city alone, and her parents have forbidden the move. A married woman, however, may come and go as she pleases, not a hint of scandal. With this in mind, Lady Willow writes an advertisement that offers her dowry to potential husbands as bait. 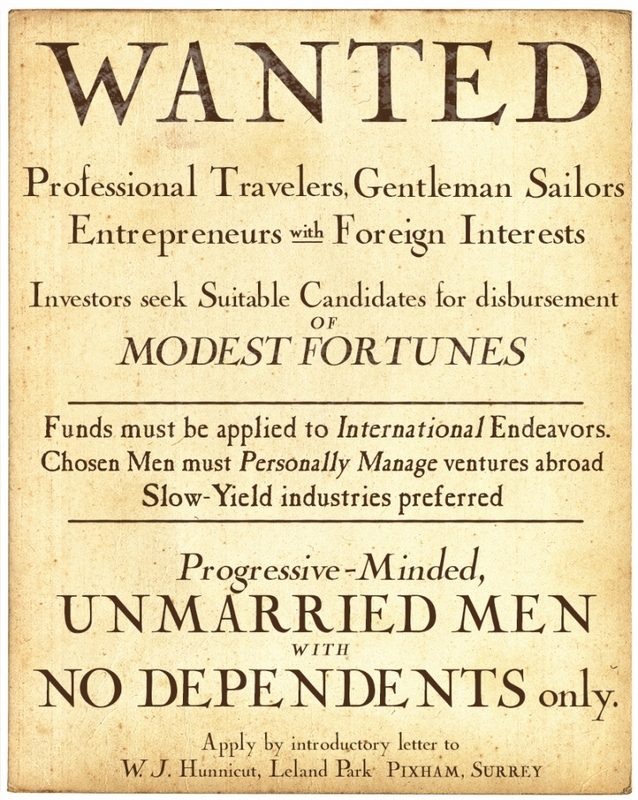 She is determined to conveniently marry any man who will give her his name and then otherwise walk, ride, or sail away. Lord Brent Caulder, the Earl of Cassin, lives in one of the last-remaining castles in Yorkshire, but it is a castle in decline. The tenants are listless and destitute, his mother and sisters are barely getting by. It’s Cassin’s fault, unfortunately, because he’s sealed the dangerous mines that have brought the earldom prosperity for generations. Now he must discover a safe alternative or his people will starve. Relief comes in the form of an advertisement from a London investor. But when the “investor” is revealed to be a young woman and the money her dowry, Cassin must decide if he’s desperate enough to marry a stranger. The deal hinges on one stipulation: bride and groom will go their separate ways after the wedding and never look back. When a family crisis forces the estranged couple to travel home to Yorkshire, Cassin seeks aid and solace from the new wife he barely knows. 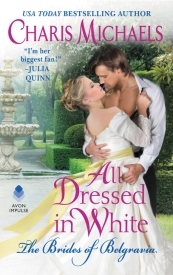 Lady Willow embraces the heated attraction that sizzles between them, and Cassin comes to see her as more than a financial backer, he falls in love with her as his wife. In the early spring of 1813, eight-year-old Lady Wilhelmina Hunnicut fell ill from a bout of peritonitis that nearly took her life. For ten days she lay contorted in pain and wracked with fever, fighting an infection that simmered and glowed like the hot coals of a low fire. Her mother and father, not particularly attentive parents even in the best of times, hastened to their daughter’s bedside. They pursed their lips and wrung their hands; they cried. By some miracle, Lady Willow did survive. She sat up in bed on the eleventh day, requested toast and tea, the lavender coverlet, and a view of the gardens. A cadre of footmen and maids descended, and the chief surgeon took Lord Lytton and his lady wife aside. Her father scarcely heard this news, so relieved was he that his daughter would not die. Yes, Willow thought, each time her mother said this, look at me now. She grew into womanhood—tall and lithe, with clear skin and a bright smile—but with no trace of the monthly cycle that would prove the doctor wrong or her mother right. And so a childhood illness decided Lady Willow would never be a mother, but it was Willow herself, some nine years later, who decided that she would never—not ever—become anyone’s wife. Instead, Willow pursued other interests, cultivated her talents, and never allowed herself to wallow or waste time. She was a spirited girl, determined but cheerful, with an eye for visual harmony and unexpected beauty. Her life’s passion was design. Color and texture, form and light. She commissioned a workshop on the grounds of Leland Park and made over the rooms and corridors of the manor house, one at a time. She sent away for books about the interiors of stately homes and castles from around the world. She learned to weave intricate trim for tapestries and rugs, to paint plaster, to create mosaics with little bits of colored tile. Her parents indulged these pursuits because they kept her occupied, and an occupied daughter required less of their time. If Willow noticed the young men who noticed her, who complimented her auburn hair or blue-green eyes, she didn’t dwell on it. She encouraged nothing, she danced never, and she always refused the rare young man who asked to walk with her in the village. Social diversion was limited to the exclusive company of her two old friends, Sabine and Tessa. Beyond this, she was content to create and seek the beauty in everyday life. But futility, Willow soon discovered, did not come in the form of a union (or lack thereof); it came as the absence of nearly all of her rights. Without the protection of marriage, Willow was not permitted to seriously pursue anything she truly enjoyed. Without her father’s permission, she could not travel alone outside of Surrey. She could not let a flat in London. She could not submit her sketches for publication. After her father died, she was forced to seek this permission from her brother Phillip. In the end, it was not the solitude that troubled Willow; it was the limits. Through it all, she relied upon Sabine and Tessa. They encouraged and supported her; they served as touchstones when her own parents were dismissive or away; and they understood that loneliness and contentedness could, in fact, exist at the same time. What they did not understand—what even Willow herself did not know—was that a “contented” life, lonely or not, was but one of many paths that young women may take. And a path that leaps clear of contentment and deals instead in courage, and determination, and true fulfillment, is what this story is about. When Lady Wilhelmina Hunnicut decided to advertise for a husband on the docks in London, she knew in advance who would oppose the idea. Her mother, first and foremost. Lady Lytton would be highly opposed—if she bothered to notice, which she would not. Her brother, Phillip, second, who would oppose the plan in theory but would be easily convinced in the end. The great value to her and the complete lack of bother to him would be irresistible. Third, the well-meaning people of Pixham, Surrey. Collectively, they would be opposed, as they were to all imaginative thinking, to anything different or new. And finally, her father (may God rest him). Earl Lytton would be opposed from a heavenly realm, but considering the dowry he’d left her, he was an unwitting enabler. In essence, he was the sponsor of the plan. There were others, of course. If pressed, Willow would say that most anyone she cared to ask would oppose her plan, but she’d designed it with both discretion and speed in mind, and the whole sordid business would be over before action or voice could be put to opposition from any side. Unless, of course, the opposition came from the two young women the plan was meant to save. One day before they were meant to launch the plan from conjecture to real life. “Nearly where?” asked Sabine Noble, squinting down at the large expanse of yellow parchment sprawled across the desk. “Nearly perfect,” said Willow, carefully carrying the parchment to a low table near the window. They’d met in her father’s library, a room she’d redesigned two years ago in stately mahogany and masculine blue. It had seemed dignified and scholarly at the time, but now the room felt foreboding. Too dim to properly read the advertisement, too hushed and shrouded to allow for open points of view. Lantern light only revealed so much; for this, they required sunshine. Willow smoothed the parchment and stepped back, allowing the window to illuminate her carefully scripted words. “Which docks?” asked Tessa. She had not moved from the desk across the room. “This, I doubt,” said Sabine, crossing with marked reluctance to the window. Tessa trailed tentatively behind. For a long moment, no one spoke. Willow held her breath and glanced at Tessa. Of the two friends, she was more likely to be generous. Now, she remained generously silent. “What is a ‘gentleman sailor’?” asked Sabine. “I thought we agreed that it was best to solicit gentlemen,” said Willow. “Dashing?” Willow repeated dully. “Dashing? It is brilliant, and you both know it. It will solicit hundreds of applications. We’ll interview as many as necessary until we identify the perfect three.” She took up the pen to thicken the letters of her script. “Toad or not, we’re only meant to endure them long enough to marry them and bid them bon voyage,” said Willow. Neither friend contradicted her; how could they when she spoke the truth? Willow went on. “And I have the opportunity to follow my passion to London—to actually make something of my life. But as you know, I’ve no acceptable way to make a home there. Not in my current situation: young, female, and alone. This speech, which had been rehearsed down to the last “desperate enough,” was met with still more silence. Her friends shared a look. “We aren’t denying that you do this to help, Willow . . .” said Sabine, trailing off. Tessa’s daily threat to marry the dull and dim-witted Randall elicited the reliable chorus of “You’re not marrying Randall.” It was why she had said it. But they could only reassure her for so long. Tessa’s situation was distressing, and it grew more urgent with every passing day. “Effective immediately,” said Tessa skeptically. “And extenuating always,” added Sabine. Willow carefully replaced her pen. She walked a small circle in the room. What did they want? To be begged? To agree that the whole scheme was a great risk? To snap her fingers and magically produce ideal husbands who would whisk them away from their hopeless situations in Surrey? The truth, of course, was the childhood illness that left Willow unable to bear children. Sabine made a scoffing noise. Conjugal relations and children were variables that Willow was not sure she could stipulate. She had shoved aside the notion of the . . . er, marital bed until . . . well, until they were a bit further along in the process. Sabine chuckled sadly. “But you aren’t being terrorized by a lunatic uncle. Or expecting a child with no father.” She and Willow glanced at Tessa. Rarely did they discuss her predicament in as many words. Tessa dropped her head back and slowly closed her eyes. “It’s only been my passion for as long as I can remember.” Willow paused, waiting for some response. Her friends looked away. Brent Caulder, the Earl of Cassin, wound his way through the slouching sailors of the Gull and Trident, searching for his partners in the smoky gloom. The earl nodded, trying to place the man among their last crew. While his partner Joseph Chance knew each man by name, and his other partner, Jon Stoker, knew them by trade, they all looked the same to Cassin. His mind was already filled to overflowing with the names and faces of men who considered him their leader and employer, but these men lived two hundred miles away, in Yorkshire, and they waited for him to lead them or employee them. It was a struggle to add twenty more. The sailor at the door didn’t seem to mind, and he grinned, happy in his drink. He jerked his chin to a rear table, half obscured by the belching hearth. “Not drunk enough yet, I reckon. They’ve only just come in.” He brought the tankard to his mouth, sloshing his beard with foam. Cassin nodded again and started for the table, stepping over boots and sleeping dogs. Joseph, he now saw, was blocked from view by a trio of barmaids, while Stoker sprawled across two chairs and a trunk, his hat covering his eyes. “Nor do you rely on speech,” said Jon Stoker from beneath the brim of his hat. Joseph’s blue-eyes had always done the talking for him. The women accepted the empty tankards and sauntered away while Cassin wiped the wet table with his sleeve. “Read,” he said, spreading a rolling expanse of parchment next to the dim candle. He took coins from his pockets to weight the corners. “Read,” repeated Cassin, thumping the parchment with his finger. Something about his tone pricked their attention, and Joseph leaned in. Stoker slid his boots from the trunk one by one, taking his time, slouching forward. “Where did you find this?” asked Joseph. “We’ve no idea what it is,” said Cassin. Cassin shook his head. He’d assured his friends when he joined the partnership that, despite being an earl, he knew few men among society’s elite. They’d brought him into the business anyway, the poor sods. Their loose collaboration amounted to Stoker’s ownership of a fast ship and his proficiency as captain, Joseph’s brains and business acumen, and Cassin’s legitimacy as an earl. Albeit an impoverished one. Who hadn’t passed time in London in years. But they had been friends since university and their newly minted partnership, not even a year old, was built on loyalty and shared history. Their most bankable asset was a shared commodity they’d won in a card game and split three ways. Joseph had played the winning hand, Stoker had loaned him the money, and Cassin had relentlessly pursued the loser, a small-time smuggler and sometime pirate known for shirking his debts. Cassin had hounded him until he’d provided the actual printed deed to the spoils—a small island in the Caribbean Sea, off the coast of Barbadoes. As partnerships went, Cassin brought the least to the table. But Stoker and Joseph Chance were lowborn scrappers who had risen up in the world, and they were unduly impressed with the title of earl. Stoker and Chance saw Cassin’s title as an open door to richer, more influential clients and investors. Cassin was doubtful, to say the least, but he would be forever grateful they’d cut him in. Especially now, considering the potential of the island they had won on a lucky turn of cards. Especially if he could bag this investor. “Strong words from someone whose own future in this partnership is limited to the first windfall,” said Stoker. “Did anyone see you pull it down?” asked Joseph. “Well, I’m no gentleman,” said Stoker. Cassin shook his head. “No. No letter. There’s no time to exchange correspondence with an old man in godforsaken Surrey. And Stoker is correct: It’s reckless to put pen to paper and describe the potential of the island, only to post it to a stranger.” He kicked Stoker’s leg and gestured for him to sit up. “And if not?” asked Stoker. Fifteen days after Lady Willow dispatched Mr. Fisk to London with the advertisement, a lone man arrived on horseback to Leland Park. “That’s odd,” Willow said, pausing near the window to her workshop. She wrenched open the pane, watching the rider gallop the long, tree-lined drive that stretched from the lane to the manor house. Willow had spent the morning in the workshop, directing Mr. Simms as he recovered a library chair with bright puce velvet she had ordered from Portugal. Tessa had come for luncheon and never left. Her friend reclined on the chaise longue that would be next to receive the new fabric. It was a pleasant afternoon, unseasonably warm for October, and Tessa had propped open the door to allow for a breeze. The stone outbuilding had been a falconry before Willow had requisitioned it as her workshop, and warm days still evoked the smell of feathers. A fat mama cat stretched half in, half out of the open door while her kittens bounded to and fro. “What’s odd?” asked Tessa. She dangled a piece of velvet over the alert gaze of a kitten. “I cannot say,” Willow mumbled, looking closer. Now the rider slowed to a canter in the circle drive and stared up at the house. She knew enough about horses to see that his mount was strong and solid, a stallion. The animal spun and sidestepped as the man reined it in with skill. Not a horse person, she thought idly, watching him. Her eyes narrowed. Of course there was no evidence of this; every manner of equine enthusiast called upon the Leland Park stables weekly, sometimes every day, and the disparity in appearance from buyer to breeder was great. And yet . . .
Willow looked again. Two grooms dashed to take his horse as he dismounted, and there was Mr. Fisk, rising up from the flower beds to shade his eyes from the sun. Willow squinted too, trying to discern the man’s age, the quality of his coat and hat, to see his face. Surely not, she thought. Surely, surely not. “But is it Mr. Cahill?” asked Tessa, speaking of an elderly neighbor. “No. Not Cahill,” said Willow. Their neighbor was tall but as thin as a leather strap. This man was substantial. Broad shouldered and thick chested. He dropped from his horse with a thud and stood solidly, scanning the Leland Park grounds. Willow shook her head. “Will you help me pick the sawdust from my hair?” She yanked at her muslin apron, pulling it off, and worked the scarf from her head. Tessa joined her at the window, and they stared as the man clipped up the front steps. Mr. Fisk abandoned the flower bed to greet him. Thank God for Mr. Fisk, Willow thought. Her late father’s valet had the uncanny ability to be everywhere and nowhere, depending on what any situation required. His usefulness was surpassed only by his loyalty. So Willow had not imagined it. There was some remarkable sort of . . . differentness about the guest. Tessa was acutely attuned to remarkable men. Willow, on the other hand, had trained herself to take little notice of men in general and remarkable men in particular. But she could easily spot the odd or the unlikely, and there was something distinctively out of the ordinary about the rider who now stood on her front steps. While the man spoke to Mr. Fisk, the massive oak front door swung wide, revealing Abbott, the butler. Willow moaned. Where Mr. Fisk could smooth over any situation and buy time, Mr. Abbott disrupted and dismissed. Mr. Fisk ignored the butler and carried on, gesturing and nodding and ultimately stepping around Abbott and beckoning the man to follow him inside the house. Willow’s heart jumped again. Now the door shut in the butler’s face, and he stood abandoned on the stoop. He pivoted and glared in the direction of Willow’s workshop. With a grim expression, the butler began the long, determined glide to her. They hadn’t discussed the advertisement in ten days at least. Letters had come by post, just as Willow had promised, but the majority of the applicants were unsuitable. If they did not invite caveats or stipulations, they proposed unsuitable ventures, everything from impractical to improbable to illegal. Illiteracy was rife and illegibility the rule. Willow had elected not to mention these to her friends. Where was the value in discussing the wrong applicants until the correct applicants came along? “But have you arranged an interview already?” asked Tessa. Willow shook her head. “There have been no suitable applicants to speak of. If this man has come about the advertisement, he is here . . . unprovoked.” Willow stared at the open workshop door. The butler would reach them any moment. Just then, Abbott stepped into the open door, blocking the sunlight and scattering kittens. Here he paused and stared pointedly. Willow blinked, one innocuously gentle bat of her lashes. Shock and wild fear exploded in her chest. To this, Abbott had no response. It was now his turn to wait. “Of course.” Willow’s mother and her grooms exercised chosen horses every afternoon. On a fine day, they had been known to ride the North Downs all the way to Dorking and back. Willow checked the window. Three hours until the sun set, at least. By some miracle, time was on her side. Not a lot of time. Not enough to conduct any real business. But certainly it was enough time to ascertain whether or not this uninvited man was remotely suitable. “I beg your pardon?” Abbott said carefully. Willow turned her back to him to close the window. “The library, if you please, Mr. Abbott.” Her voice was firmer now. She glanced back and Abbott stared. His very posture projected, I will not. “You may send Perry to attend to us,” Willow added, grasping at straws. Her lady’s maid rarely lent propriety to any given situation, but she would be another female in the room, and Willow was desperate. She added, “Mr. Fisk will linger as well.” In her head, she thought, But you will not. Abbott did not voice his objection so much as allow his silence to speak . Willow did the same, dismissing him by ignoring him. When he was gone, she drew her first breath in what felt like five minutes. She glanced at her friend. “What are you doing?” Tessa whispered. Her voice was somewhere between fear and awe. Something, Cassin thought, is not quite right. He turned a slow circle in the center of a parlor that was so blue, it appeared to be submerged underwater. Blue walls, blue furnishings, blue rugs. Every known shade. He’d been held in the underwater room for more than a half an hour. His coat and gloves and hat had not been taken. Tea had not been offered. Unless he was mistaken, he’d been shown inside by a gardener. Up and down the main corridor, doors opened and closed, but no one looked in. A scrum of four or five small dogs, little more than scuttling puffs of fur, roamed in and out en masse, alternately sniffing at his boots or barking. I should have brought my sword, he thought, leaning against the indigo wall. Another dog admitted himself into the room and tapped over to him on sharp, tiny claws. Man and dog studied one another. “By definition,” Cassin recited to the dog, “golden opportunities feel rare and different.” The dog barked once. His own Barbadoes venture was nothing if not rare and different. He could allow for some strangeness in order to be granted the same. This wasn’t entirely true. The villagers in nearby Pixham had known the surname Hunnicut, but they seemed oddly clueless about the illustrious “W. J.” It had been the first of a growing list of inconsistencies. But the house to which he’d been directed was grand and the grounds expansive. Inside, the art on the walls was valuable, the furnishings fine. The gardener had shown appropriate deference when Cassin presented his card and introduced himself as earl. All of it amounted to precisely what the advertisement had claimed: Here lived an investor with so much money he was looking for new and diverse ways to spend it. If Cassin’s reception had been odd, he had turned up unannounced. With no letter of introduction. He’d caught the old man off guard. Then again, I am a bloody earl, Cassin thought. And an earl called with no forewarning. “Begging your pardon, my lord,” said a cheerful voice from the doorway. Cassin turned. Cassin hesitated two beats, exchanged glances with the dog, and followed the man out of the room.